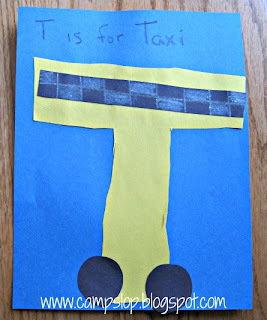 This week Chaos learned about the Letter T.
We started with our uppercase letter creation - Taxi T! 2. Tactile T - toothpicks. The idea for this craft is here at The Active Toddler and the letter sheets were printed from Quality Kids Crafts. 3. Color by Letter. The sheet is from here at Education.com. 4. 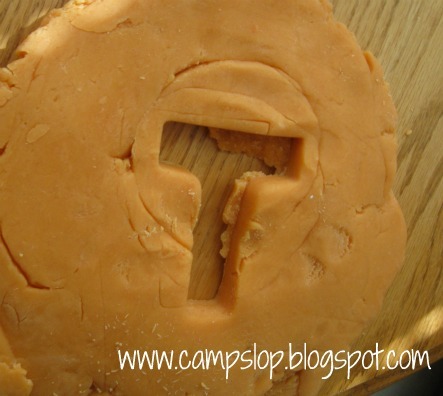 Letter T maze (Chaos loved this even though it was a bit hard for him). This worksheet is also from Education.com. 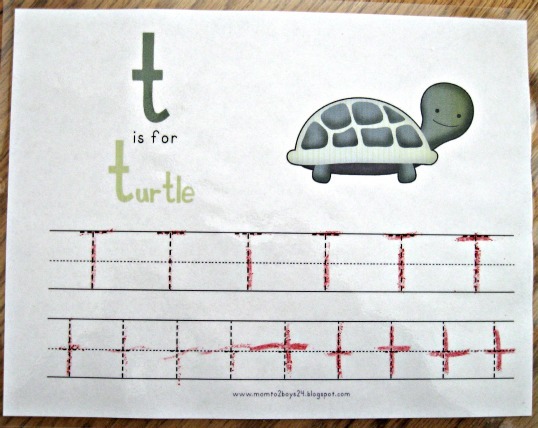 Chaos has been asking to write his letters so I laminated some tracing sheets for him. He thought this was okay, but still prefers to write on the magnadoodle. These adorable letter tracing sheets are a free printable from Lawteedah. We also worked on letter searches from COAHS and Education.com. 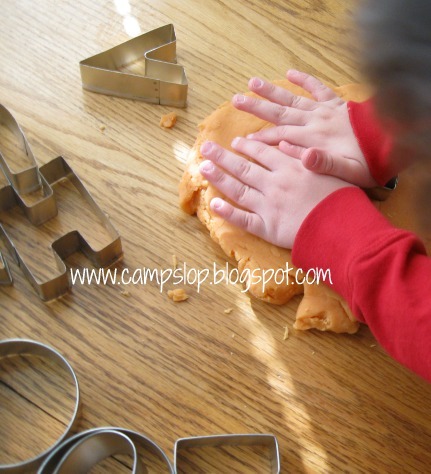 We used our alphabet cookie cutters with our homemade playdoh. 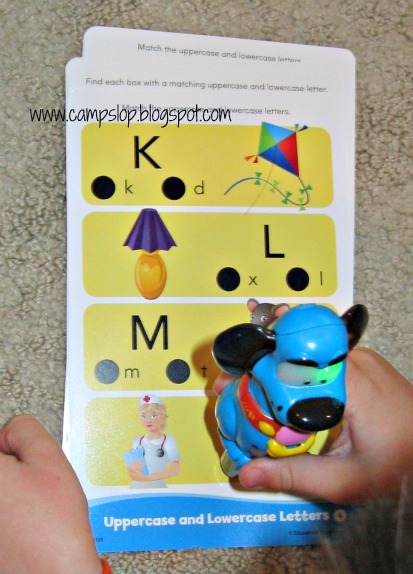 We played with Chaos's Hot Dots Jr. this week too. We have the Getting Ready For School set and used the "Learn Your Alphabet" and "Uppercase and Lowercase Letters" cards. He did very well with these. 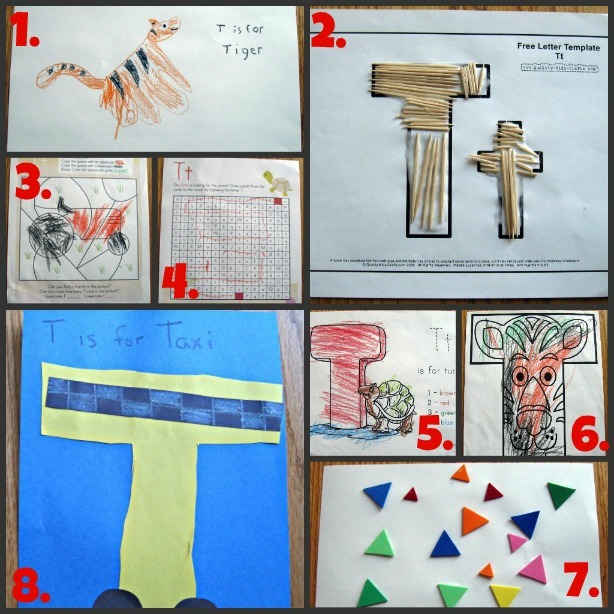 The favorite activity of the week was the Letter T Discovery box. 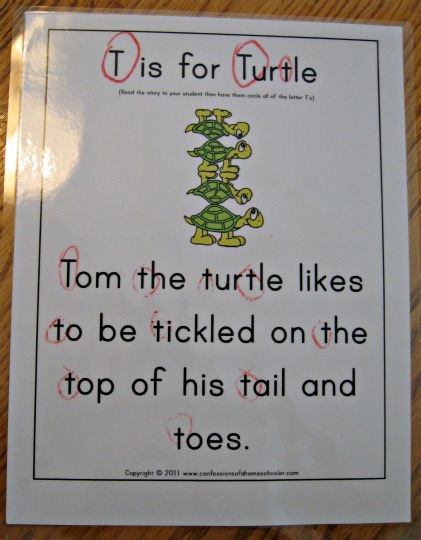 I found the idea here at No Time for Flashcards and modified it a bit. I gave Chaos a bin and had him search the house for "T" items to put in it. 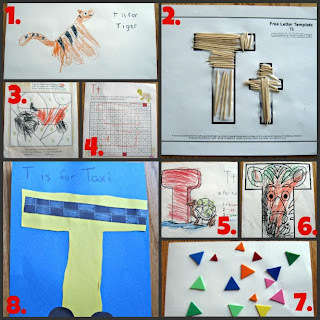 We had a lot of fun talking about our "treasures." One of Chaos's search results - a tissue, tea cup, toothbrush, tiger, table, triangle, toilet paper roll, and Thomas the Train. For our second "row" Wild One and I read Goodnight Moon. 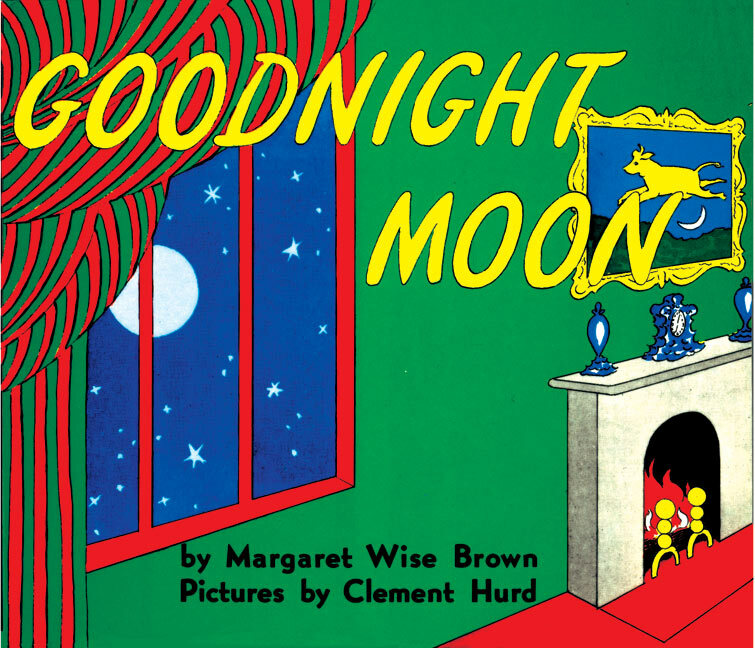 She really enjoyed this book, and I loved that she would say goodnight to every object in the room ' "Night-night chairs! Night Night bears!" She also insisted on counting the three bears each and every time we read the book. 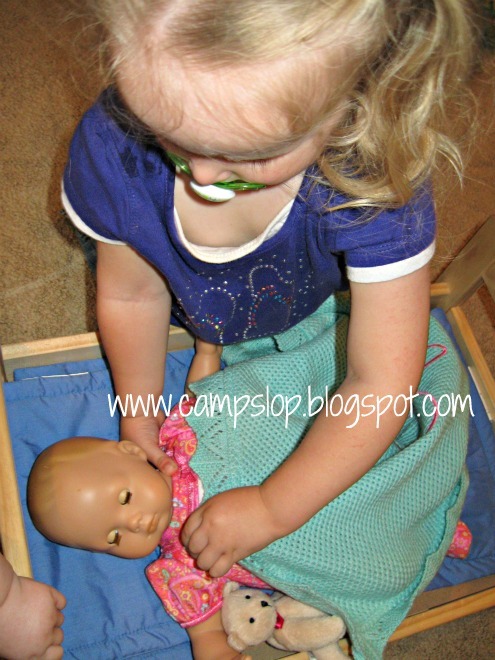 After we read it a few times, I set up a baby bed for her doll and we had fun putting baby to bed. Wild One really loves playing with dolls so this was an activity we did a LOT this week. 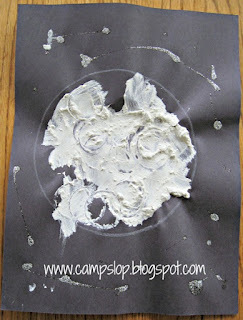 Next we made a moon craft with instructions from I Heart Crafty Things. We added silver glitter glue for stars. All of the kids had fun with project (especially when they found out glitter was involved!). Finally, we had some fun playing with a red balloon! 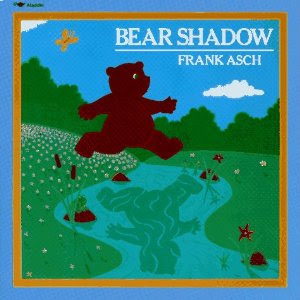 Pinky and I started our after school adventure by reading a book by one of my favorite authors: Bear Shadow by Frank Asch. The book led to a discussion about why we have shadows. 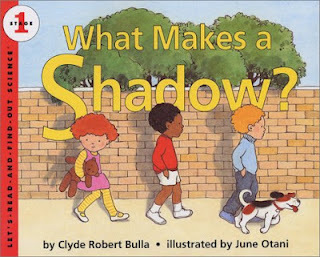 To get a basic understanding of shadows, we read What Makes a Shadow? We tried a few of the experiments in the book. 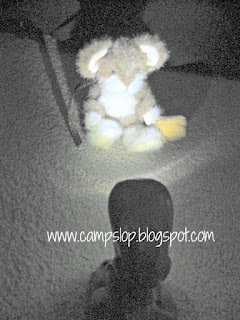 First, we used a flashlight and a stuffed animal to predict where the shadow would be (in front, to the side, behind, etc). We moved the flashlight around to see how the shadow moved. Next, we shined the flashlight through objects with different opaqueness and predicted if the shadow would be dark or light. We used a paper towel, a sheet of vellum and construction paper, and a book. We talked about why some of the shadows were lighter (more light could shine through the vellum and paper towel). I tried, but could not get a decent picture of this activity. 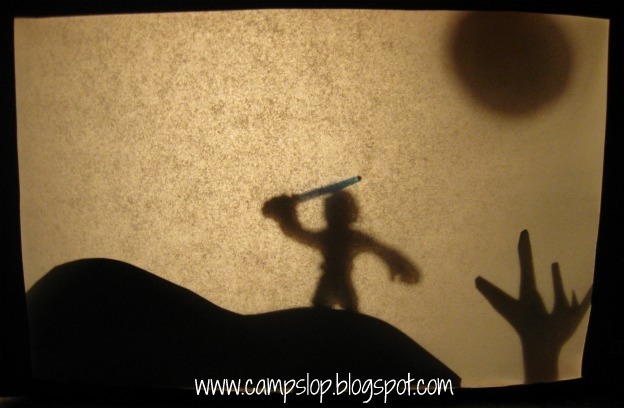 Finally, for some shadow fun, we made our own shadow puppet theater. I used the tutorial at minieco.co.uk to make a theater from a cereal box. I cut a few landscape shapes from cardstock to set the scene. Instead of cutting out characters (which would be easy to do with your Cricut and some black cardstock) we used Star Wars figurines. We really had a lot of fun with this project, and I encourage you to give it a try. You may be surprised at how creative you kids can be while telling a story (and learning something too!). Fun week! I need some ABC cookie cutters. What fun! 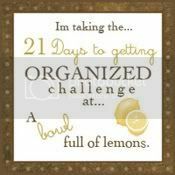 I love all the activities you featured! You have so much fun a your house! I adore your shadow puppet theatre. You have inspired me - (especially with the use of the Star Wars figurines). 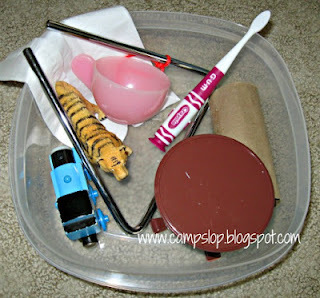 Thank you so much for sharing at the Weekly Kid's Co-op. I'm Pauline and I blog over at http://lessonslearntjournal.com. May I please feature your shadow puppet theatre (with a picture from your post) as part of my roundup of last week's linky party? My 2yo (who is also a wild one!) also insists on counting the bears. 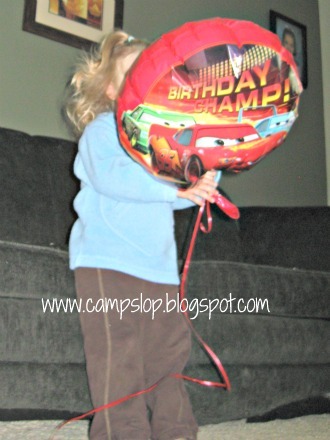 What a fun idea to get a red balloon to play with for the week!